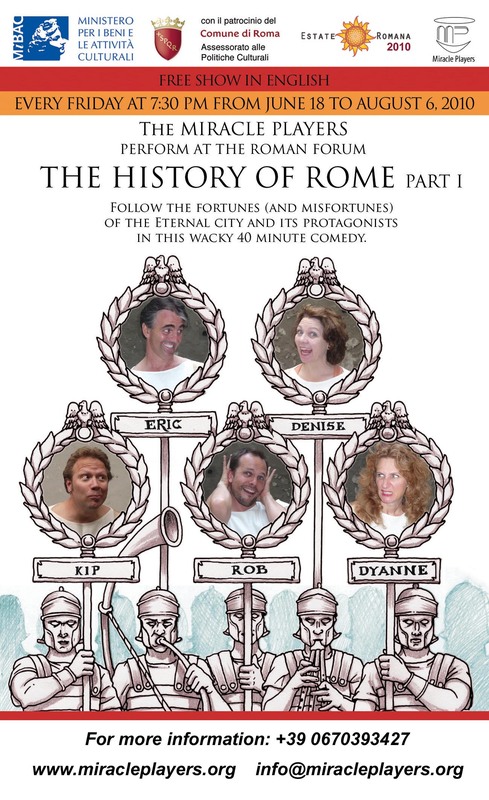 Follow the fortunes (and misfortunes) of the Eternal city and its protagonists in this wacky 40 minute comedy. This play encapsulates some of the funnier moments from previous years' performances. As always, the play draws its inspiration from the writings of Suetonius, Plutarch, Livy, Cicero, Shakespeare and of course Monty Python. Don't miss out on any theatre show by the Miracle Players and add your name to the mailing list.